Mamaw, MaryLou Wimpy Caylor, turned 71 yesterday. It was a quiet, rainy birthday for her, and it was the kind of birthday she appreciates: No fuss or muss! I know everyone enjoys “their day”, but Mamaw has always seemed to enjoy sharing the week with Jennifer, her granddaughter and my niece. Jennifer’s birthday is November 23. 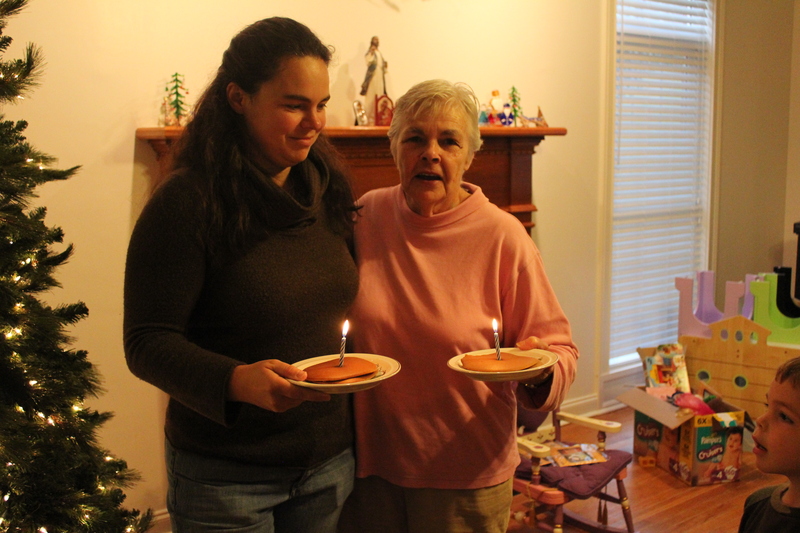 I host a birthday, pancake breakfast as a “transition” between Thanksgiving and Christmas for our family. However, the emphasis is on Mamaw and Jennifer’s birthdays. We had a great time with family, food, fellowship, and fun on Saturday morning. Carter, Ammon, Sean, and I also visited with Mamaw on her birthday. We had placed Christmas poinsettias on Ammon and Carter’s grandfather’s graves, and on the way home, we spent some birthday time with her. For everyone out there, I want to share, yet again, how much my mother means to me: love, support, acceptance. She is an awesome mother, grandmother, great-grandmother, and mother-in-law. I am so blessed to have her as is everyone whose life she touches. This was our second time in Corfu, Greece. Like Dubrovnik, we’ve only seen it in the autumn. However, I believe that Corfu must be at its most attractive during the summer. 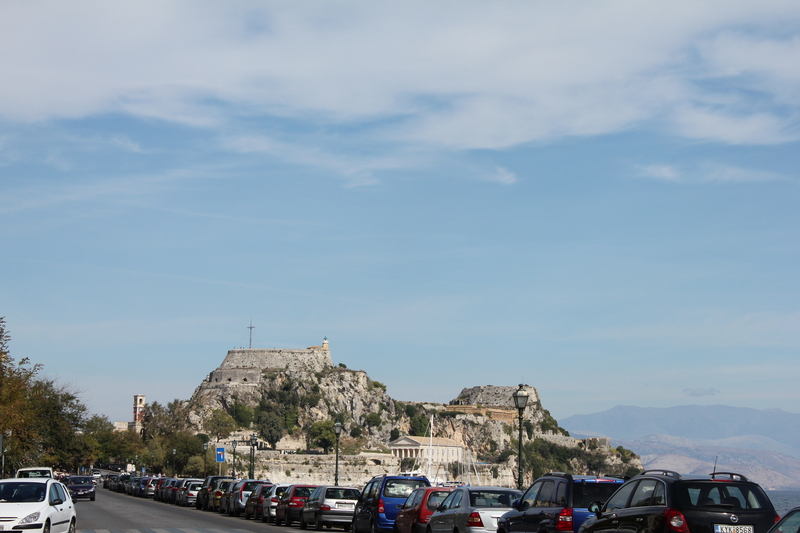 Two years ago, we took a tour of the island, and we saw an Orthodox monastery, downtown Corfu, and the Achillion Palace. The palace was built by the Empress Elizabeth of the Austro-Hungarian Empire during the latter part of the 19th century. This time we decided to spend time shopping since we had such little time to shop in 2009. We also took a “train ride” around the city where some archaeological reconstruction is going on. The ruins are from the 4th Century before Christ. 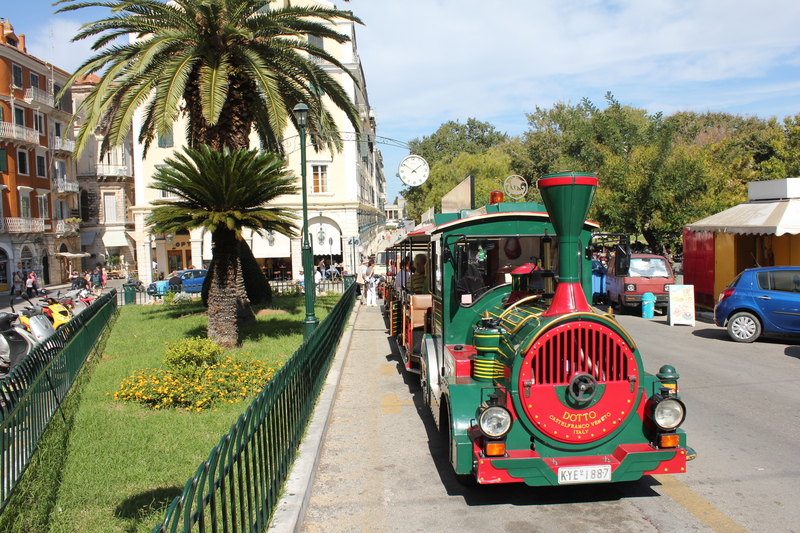 All aboard the Corfu Express!! The first thing I cooked all by myself was my mother’s birthday cake in 1976. I was 10, and she was turning 36. I have loved cooking ever since. On the evening (Tuesday November 22, 2011) of this photo, Carter, Ammon and I had started mixing the ingredients together, but Ammon became bored and went to play in the living room with Daddy S. When I had the “presence of mind” to get the camera, Ammon wasn’t interested in dropping the cookie dough onto the baking pan. I haven’t baked too much with Carter and Ammon because it would mostly be cookies, cakes, and pies …things my fat and I do not need. However, I want them to enjoy the kitchen and learn how to bake and cook, so especially during the holidays, we will bake. 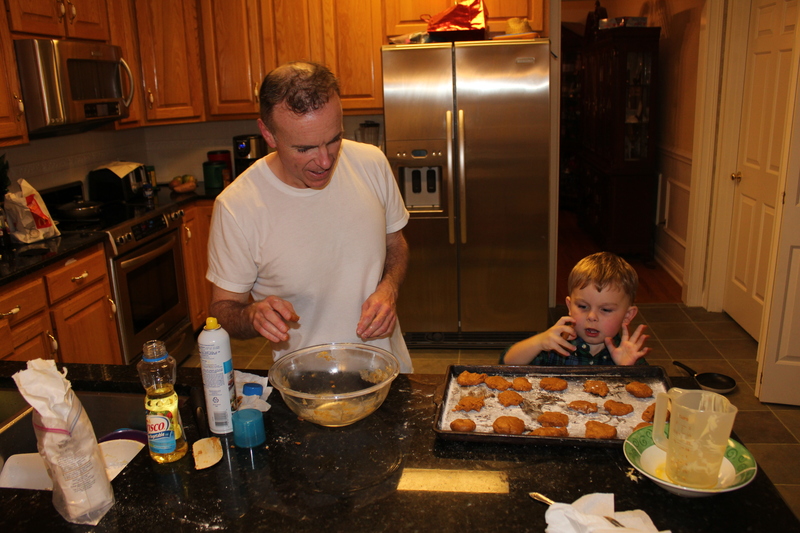 I want my children to start making cookies and MAKING MEMORIES they can hold and cherish in their hearts forever. 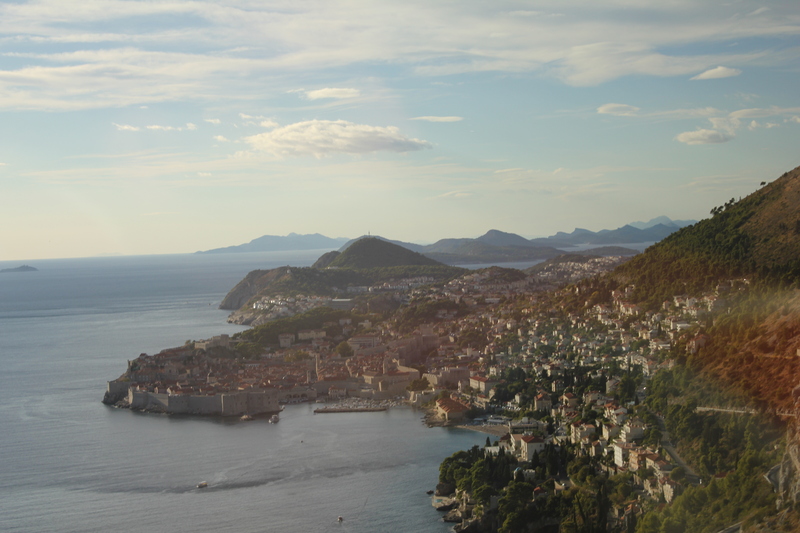 Dubrovnik, Croatia is such a tourist treat. It is on the Dalmatian Coast (yep, the area of Dalmatian dogs) on the Adriatic Sea. In the past 10 years, it has become quite popular for summer vacationers who love to swim and sunbathe. 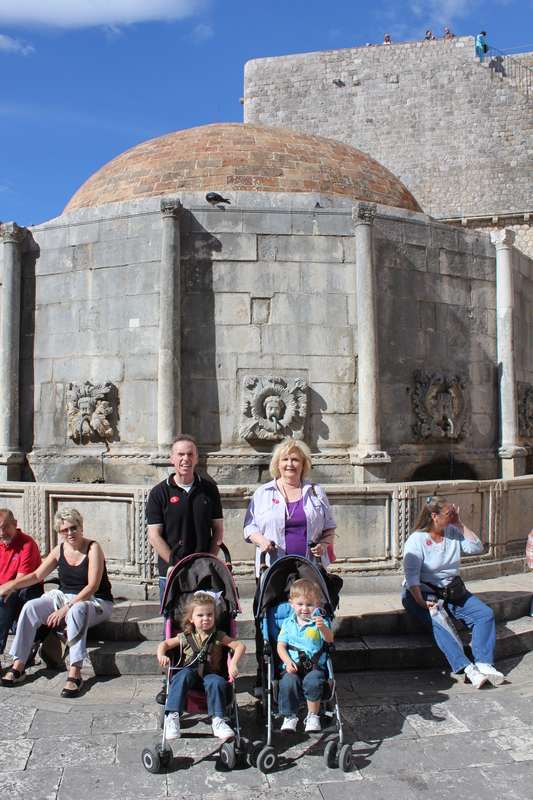 It does seem crowded in the downtown area, but that’s because the main attraction is the medieval walled city. Unlike many middle-ages walled cities, Dubrovnik’s walls (not built all at once but fortified and added on to from the 12th to 17th centuries) were kept intact and are still utility to the city. It was our second time in Dubrovnik, and we even had lunch at the same grinding mill (http://www.youtube.com/watch?v=gtRNp2Ub9Qg) where we visited in 2009. The embedded video in the previous sentence is from the mill. 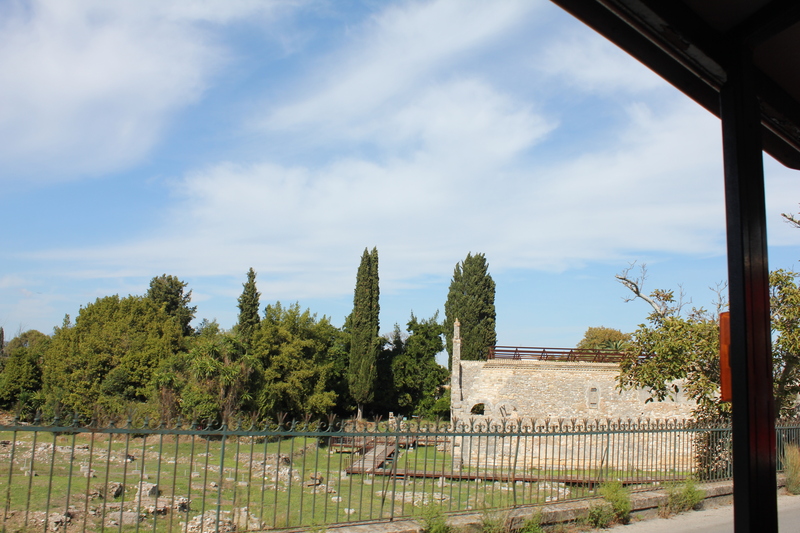 The city of Cavtat was an additional stop this time. It is on the coast as well, but the rhythm of the town is much slower than the rhythm of Dubrovnik. The next time we go to Dubrovnik I hope it will be in the summer so we can all swim in the gorgeous waters of the Adriatic there. 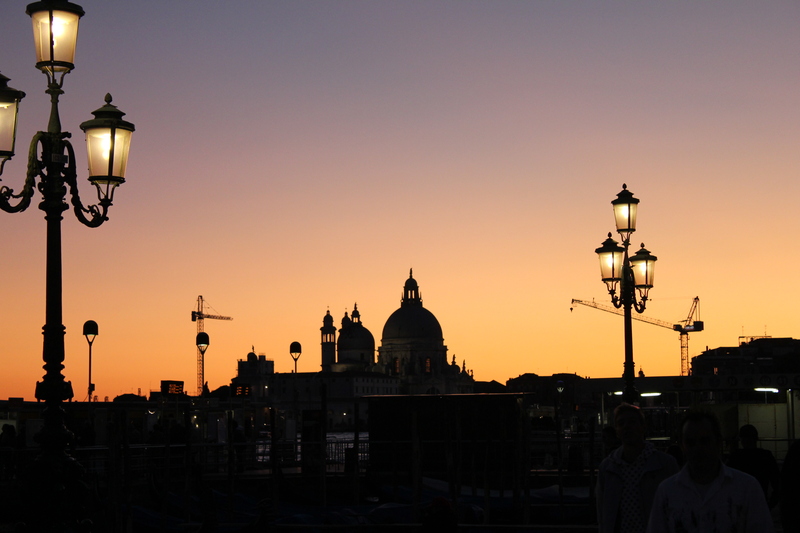 Last October was our 3rd time to Venice. Our hotel room this time was our suite on the Star Princess. We were in Venice October 2 & 3. Our #1 goal was to buy more Murano glass: angels, a Santa Claus, and a Christmas tree. We enjoyed adding to our Murano glass collection, and I will include the pieces in some Christmas shots soon. I have seen a plethora of medieval architecture since 1984, and my favorite structure from that time period is St. Marks in Venice. I think it’s the combination of Byzantine mosaics and other Middle Ages art and architecture that make it so fascinating to me. There was a complete horse-drawn carriage cast in the 4th Century B. C. in Greece. It is called the quadriga; however, the carriage has been lost during the past 2,400 years. I was/am intrigued by it. First of all it’s over 2,000 years old. Secondly, it stood at Constantinople’s (Byzantium, then Constantinople, now Istanbul) famous Middle Ages hippodrome. The Venetians looted Constantinople in A. D. 1204, and carried the quadriga to Venice, Italy. They have been there ever since. Their copy stand over the St. Mark’s Square over the entrance to the basilica. The originals are on display in one of the many museums inside the basilica. If an inanimate object could talk, what AWESOME and FASCINATING tales those horses could tell! 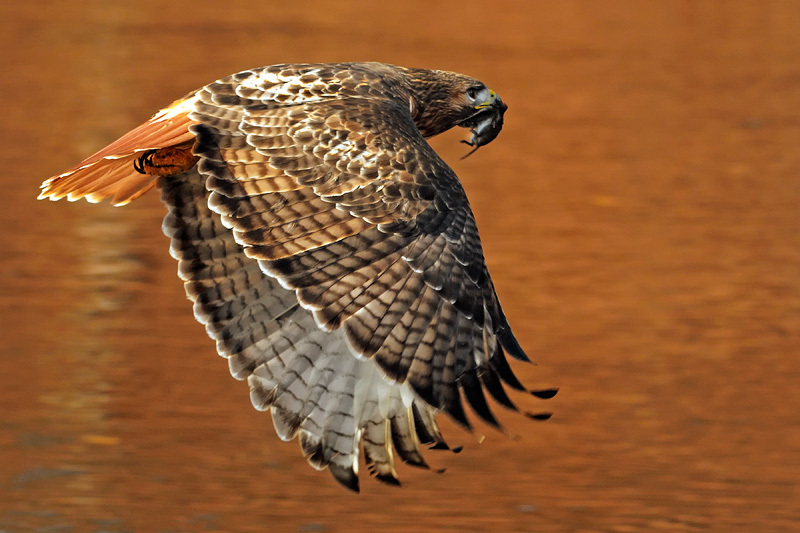 Earlier in the year, I wrote about “our” Red-tailed hawk carrying off what I had hoped was a venomous snake (https://havensideals.wordpress.com/2011/07/06/hawk/). I had nothing to do with aiding Hawk with its meal that day; however, Thursday evening I helped Hawk find its dinner. 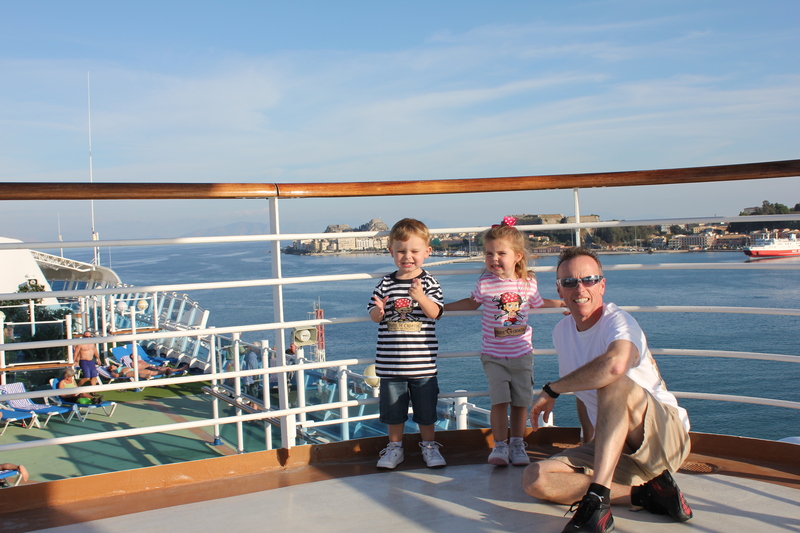 Starting Saturday….more of our October 2011 Cruise! is golden, and our veterans are golden. 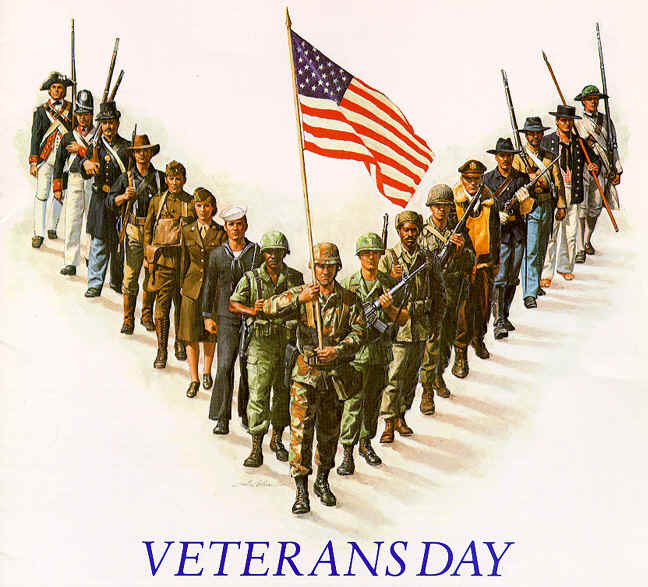 Happy Friday, and Happy Veteran’s Day.